Far reaching changes brought about by recent advances in technology and science have created fundamental shifts in the way meditation is perceived and practised. The enlightened age of the internet has made the world a much, much smaller place, changing the way we access, communicate and share information, enabling millions of us to research and discuss ideas and share experiences with each other across the continents. Plus, where once we may have looked to spiritual gurus for the meaning of life; now neuroscientists, psychologists, molecular biologists and quantum physicists are the new explorers in human consciousness. With a wealth of information at our finger tips on the World Wide Web, we have tended to become more discerning; rather than take on a ready-made belief system, we like to research things for ourselves and make up our own minds. A diverse range of free resources are available on-line to help us do this, from Wikipedia, TED seminars (1), interactive webinars and courses, to YouTube videos and Apps. Our meditation habits are changing too. Increasingly becoming ‘time poor’, many of us meditate in front of our computer screens or on our iPods, choosing short guided meditations to accommodate our busy life styles and brief attention spans. Meditation is finding its way into the fabric of our ordinary lives; we can subscribe to daily doses of inspiration delivered in meaningful meditational ‘thoughts for the day’ via Twitter, or pop into Selfridge’s new Silence Room and meditation space to take a breather whilst shopping in London’s busy Oxford Street. 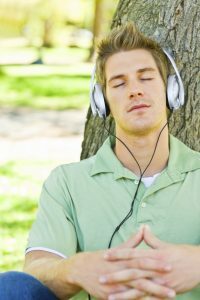 It’s even possible to enter meditative states without any effort at all through binaural beat brainwave entrainment technology (2); you just don a set of headphones and listen to white noise or music to synch your brainwaves to alpha (3) or theta (4). Meditation is cool, so cool that websites for Freshers’ health at university offer meditation Chillpods. Increasingly freed from its association with doctrine or dogma, meditation is now seen as synonymous with stress management and general good health. For several years large corporations such as Google and Deutsch Bank have been offering ‘in house’ meditation classes to employees to counter stress in the workplace and improve productivity. Meanwhile, smaller companies are starting to provide the calm of a designated ‘quiet room’ for their staff to escape when the pressure gets too much. There has never been a more apposite time for meditation skills to be integrated into everyday life. For the last twenty years or so, ever growing numbers of meditation instructors have been quietly working in the background using secular teaching methods that aren’t aligned to one specific ‘school’ or belief system. Their approach usually comes from personal experience, drawn over the years, selecting what has worked best for them, frequently combining an equal mix of spirituality and pragmatism. As a meditation teacher myself, I’ve often thought that our particular culture is not best suited to some of the more structured or rigorous meditation disciplines that, after all, originated in very different climes to present day Western society. Generally speaking, our culture identifies with the individual rather than the collective, and has a somewhat less sturdy constitution than found in the East. It tends to suit a softer, more fluid approach that’s less demanding both mentally and physically and allows people to explore for themselves what spirituality means to them as individuals. The call for meditation to be taught in secular, accessible ways that people can easily relate to and absorb into their busy daily lives is particularly strong nowadays. 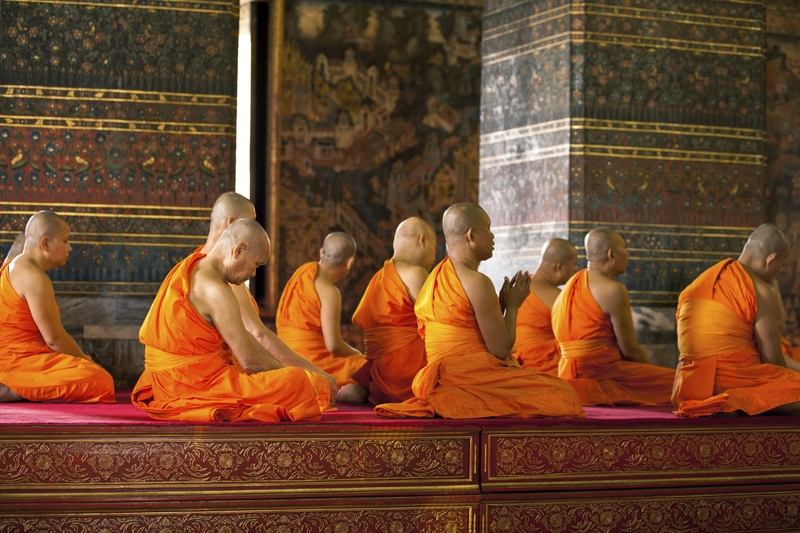 The popularity of Mindfulness meditation (5) is one such example. Originally a Buddhist practice, ‘mindfulness’ has been adopted by modern psychology and explored through scientific research. Oxford, Exeter, Bangor and Aberdeen universities all offer degrees in mindfulness, whilst large research centres in the US such as the Stress Reduction Clinic in Massachusetts, and the UCLA Mindfulness Awareness Research Centre, Los Angeles, dedicate themselves to its research and teaching. It’s entered mainstream healthcare as Mindfulness-Based Stress Reduction and Mindfulness-Based Cognitive Therapy, the latter, now available on the NHS for a range of health issues including depression and anxiety disorders. Originally self-taught, I started meditating back in the Seventies. Over the years I explored a variety of approaches with different teachers, gradually gathering together what worked best for me. Somehow, the idea of following a particular meditation ‘master’ or system never appealed, possibly because my training in Fine Art as a painter taught me to think for myself and seek my own truth. Now, in my sixty-first year, I still feel it makes sense to place trust in your own experience and keep your own counsel. Meditation skills are, essentially life tools and could, one day, routinely be taught at school to provide children with an understanding of the natural resources available to them and the positive benefits they provide for health and well-being. Children are chronically over-stimulated nowadays with sensory overload from a battery of electronic devices; classroom stress and difficulties in concentrating have become epidemic. A growing number of schools across the US are teaching mindfulness as a life tool for self-awareness and an aide to concentration. In the UK, there are training workshops for primary school teachers to teach youngsters relaxation meditation and creative visualisation. Meditation is being taught to children as young as four and up to sixth form age, with encouraging results. 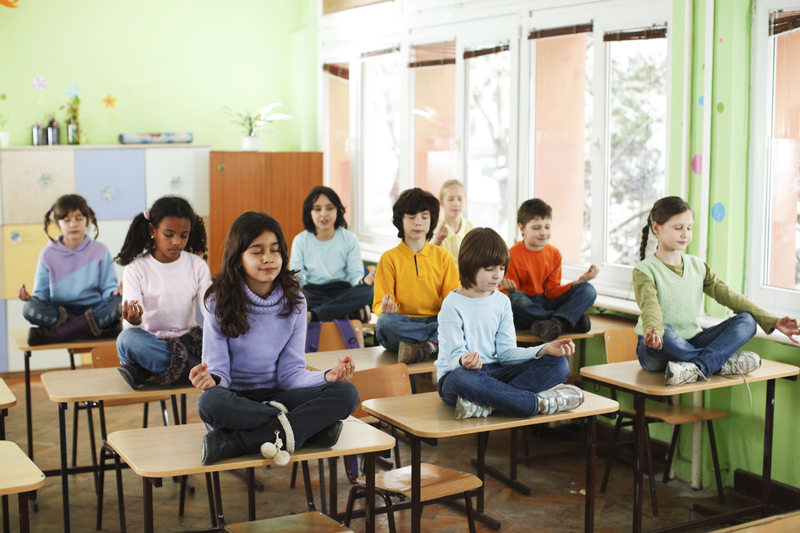 Studies in the US and Canada show that pupils who engage with just a few minutes of meditation each day are more attentive in class, achieve better grades, and are less aggressive and disruptive generally. A secular approach to meditation, by no means precludes spirituality, it leaves room for choice, which for me, is important since it encourages autonomy and allows people to be truly authentic. I believe that spiritual practices need to be open to the process of evolving organically if people are to relate to them and find them accessible. Surely they are there to support people to navigate the rocky terrain of being human, rather than people being there to maintain a spiritual practice. For many, the concept of spirituality is only associated with organised religion or New Age beliefs and sits outside their day-to-day experience rather than being a natural aspect of it. Unfortunately, the term ‘spirituality’ itself is often misunderstood because it can seem to come with so much baggage. My own sense of spirituality is that it’s rooted in my being human – with all the challenges, self-doubt, joys, and highs and lows that brings. Far from being ethereal or separate from the everyday, it comes out of the rich and often messy soup of the here and now and all that makes us who we are. And, just as spirituality can be linked to self-growth, meditation itself is a means for self-development. For, as soon as we clear a space to quieten the mind and body, we come to meet ourselves and what we bring to that moment in time. Meditation involves tapping into fundamental resources: the innate resources already within us, and those in the natural world and the universe that surrounds us. It’s all about how we organise and engage our attention and awareness in any given moment. Many meditation techniques are interchangeable as life skills, integrating well into everyday life. In a nutshell, this is how I teach meditation. I’m passionate about how it translates to day-to-day living. Some years ago I decided to call my approach: ‘Resourcefulness’ meditation (6) as it centres around these inherent resources and the belief that meditative states are naturally occurring and available to everyone. As with most contemporary approaches, mine is a combination of Eastern philosophy and Western psychology. It borrows from mindfulness meditation as well as the more body-focused meditation practices such as yoga and quigong (7). Secular by nature, its ethos respects individual beliefs. Rather than imposing a specific structure to be mastered, such as breathing techniques, body posture or mental practise; the approach reveals positive ways of being in the ‘here and now’ through using the natural, every-day faculties of intention, focus and awareness. The soft, sensory-based methods of Resourcefulness meditation work with the body and minds’ innate ability to rebalance. There’s an emphasis on body/mind awareness and simple, basic psychology to help people understand how their habitual thinking and behaviour patterns either support or hinder them, and how they can establish more useful ways of seeing things and being in the world. The approach supports the practise of mindfulness, compassion and acceptance. An important aim of my approach is to build an inner ‘tool kit’ of every-day skills that are easy to incorporate into day-to-day life. And because the gentle methods respect the needs of the individual in the present moment, they are suitable for almost anyone and may be of particular benefit for those who are ill or who have a stress related condition. Most of the basic techniques focus on how to modulate the body’s fight or flight (8) stress response and can be used as quick stress busters in everyday situations or crisis. Perhaps surprisingly, in my experience, meditation practised in certain ways, can sometimes have the paradoxical effect of over stimulating the body’s Autonomic Nervous System (9) rather than calming it down. As a great many people learn meditation in order to manage a stress related disorder, and are therefore more likely to have a highly reactive Nervous System, it’s important to take that sensitivity into account. There are a range of conditions involving physical and mental health imbalances which require this kind of flexibility and subtleness of approach, including M.E./Chronic Fatigue Syndrome, Multiple Sclerosis and Post Traumatic Stress Syndrome. Like all worthwhile things in life, meditation continues to evolve. Seen nowadays as less of a rarefied practice and more a pragmatic life skill, it’s no longer necessary to change your belief system or follow a respected ‘master’ in order to be able to meditate. Contemporary psychology, having in the past borrowed from meditation’s rich storehouse of philosophy and practice, today plays a part in shaping meditation. In fact, many global-selling meditation CDs and downloads currently available are created by personal development coaches, psychology practitioners and clinical hypnotherapists. Whilst some purists may fear the essence of meditation is being dumbed down or corrupted, personally, I see this cross fertilisation as a positive thing. It’s a rich melting pot of human experience, culture, wisdom and exploration of consciousness. There’s never been ‘one way’ or a ‘right way’ to meditate – it transcends all that. Meditation is probably the oldest form of self-growth practice. It’s possible without it, psychotherapy and the many psychology processes widely used in conventional and alternative health-care today wouldn’t exist as we know them. With the pace of 21st Century life speeding up, we need more than ever to have stress management and self-awareness skills that act like a common language which anyone can identify with and use. To de-mystify and secularise meditation, presenting it in ways that make it attractive and accessible can only be a good thing because it will reach, and therefore benefit, more people. Of course, traditional forms of meditation practice will continue to thrive, there is much to be learned and gained from them. There’s no good reason why the popularisation of meditation should take away from these ‘in depth’ practices – they will just become a more specialised option. After all, today’s contemporary music hasn’t brought about the demise of classical music and opera, it’s just provided new genres and more choice for everyone. Within the next few decades, it’s likely that meditation skills will routinely be taught in down-to-earth ways and become an accepted part of the school curriculum. I predict that these skills will become commonplace life tools, absorbed into everyday behaviour, language and thinking habits. In its essence, meditation is an educative process. The number of times my students have told me of how it has changed their life for the better; just think what would happen if this were multiplied on a grand scale. The ripple effect would not only make a difference to how we live our lives as individuals, but on society as a whole and even percolate through into politics and global awareness. This could be one small but significant step towards bringing about some of the fundamental and positive changes our world so desperately needs right now. Binaural beat brainwave entrainment technology: A technology based on binaural beat frequencies or ‘tones’ that effect the sub cortical auditory system of the brain. The binaural beats (almost inaudible to the human ear) are embedded in music or ‘white sound’ to synchronise the brain into desired states. This scientifically proven technology is widely used to train the mind to enter deep states of relaxation, meditation and sleep. Theta: Theta brainwaves are associated with sleep, deep relaxation (eg hypnotic relaxation) and visualization. It is believed they help to access the subconscious mind. Quigong: Qigong is traditionally viewed as a practice to cultivate and balance in the body’s Qi (chi) or ‘life force energy”. Step Into Meditation –The Foundation Course by Linda Hall.